This landmark book redefines the nature of the debate concerning food quality. Revolutionary use of high quality magnifications of over 50 organic and nonorganic foodstuffs makes the comparison between the two instantly clear. The picture s illustrate the extraordinary beauty in organic foodstuffs. At microscopic level, that beauty is stunning. 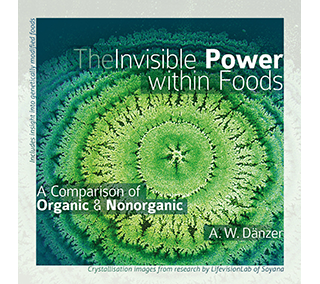 The ‘invisible power within foods’ of the title is linked to the striking differences between the structural integrity of theorganic examples, compared to their seemingly broken and mottled nonorganic counterparts. Alongside the images are explanations from the author, who encourages the growth and consumption of organic foodstuffs as beneficial to health and vitality. The visual evidence is compelling. It will appeal to readers of all ages, levels of interest and expertise. Gardeners, farmers, caterers, health practitioners, parents, children and any conscious consumers interested in nutritional quality will find this book informative and thought-provoking, as well as a beautiful addition to their library. This is not a mere coffee table book to be proud of. It is much more. It encourages us to reassess what we eat and drink because, as the saying goes, “you are what you eat”. There is an on-going dispute among conventional food manufacturers and organic food producers. Are there qualitative differences between organic and nonorganic foodstuffs? This book succeeds in showing pictorial evidenceof genuine differences. Author’s vegan organic food manufacturing company Soyana established its LifevisionLab in 1996 to research fundamental questions of this type and this book is the first of its findings to be available to the UK market. It informs the debate in a novel and intriguing way and will hopefully lead to further research. There is currently huge interest in the nature of the universe, the composition of this plant earth and its building blocks. Professor Brian Cox’s investigations are hot topics. His TV shows are winners and his books are best sellers. He emphasises the exquisite beauty of the natural world, particularly at molecular level. 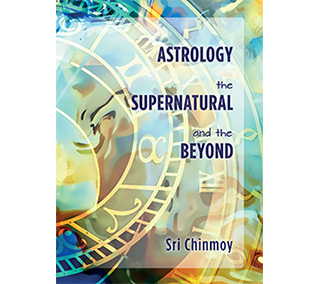 This book complements that interest and informs readers in a readily accessible way. Author Walter Dänzer is a Swiss vegan organic food manufacturer, lecturer, and author of three best-selling books. In 1981, he founded the Soyana company that was the first in Switzerland to offer plant-based meat alternatives, which has developed over 100 vegan organic food products. Soyana’s LifevisionLab has been a pioneer in researching the aspects of life-energy and the inner order in food.